Looking for a warmer getaway while winter rages on, or maybe thinking about your destination for spring break? 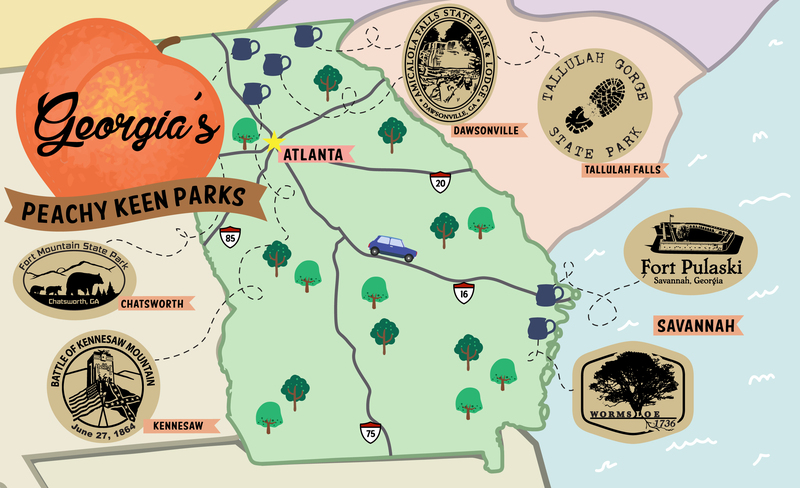 Taking a trip down to the Peach State might be the way to go. There are dozens of state and national parks in Georgia, many of which carry Sunset Hill Stoneware mugs in their gift shops. To get a taste of some of the natural and historic wonders of Georgia, and to help you find unique coffee mugs from your trip, we've prepared an itinerary with some of the parks in the Peach State with Sunset Hill Stoneware mugs. Found in the northern part of the state, Amicalola Falls State Park serves as a shaded paradise away from the crowds of Atlanta and as the southern gateway to the 2,100-mile Appalachian Trail. The park has also served as a backdrop for films and documentaries, including the 2015 film, A Walk in the Woods. 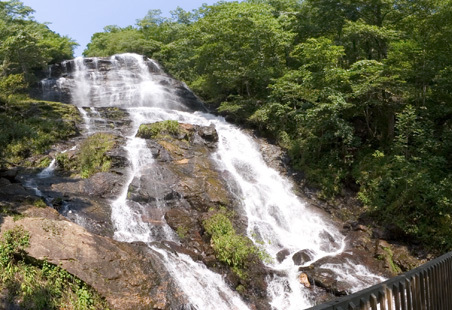 The park's namesake and largest focal point is a 729-foot waterfall emerging out of the lush Georgia forest. It offers multiple hiking trails, zip-lining and wildlife encounters among other activities. For anyone looking for a slightly longer getaway, the park even has associated resorts for a nice, warm vacation in the heart of the South. Visitors to Amicalola Falls State Park can expect to find a diverse array of state park mugs to take home with them. The most recent addition to the park's collection includes the Sunset Barrel in Copperhead Run, a Happy Soul in Cranberry Bog and a Greek Goddess in Northern Lights, to name just a few of the combinations on tap. The state park mugs depict an image of a large owl on the medallion, along with the name of the falls. A hiker's paradise, Tallulah Gorge State Park is tucked away near the border with South Carolina and packed with scenic trails, waterfalls, beaches and suspension bridges. Once a thriving resort town in the Victorian era, the gorge is now home to a fragile ecosystem with protected flowers and animals, including salamanders and birds. In addition to hiking and walking along the rim of this dramatic overlook, visitors can often explore the bottom of the gorge to get a closer look at its crystal-clear waters. With periodic water releases from upstream hydroelectric dams, there are opportunities to row or go whitewater rafting down this scenic gorge as well. The state park hosts an interpretive center where you can find souvenirs, including unique mugs you can only find in the park. Be sure to look for a Happy Soul mug with the imprint of a hiking boot on the medallion next time you find yourself planning a trek in the gorge. The rustic northern part of Georgia is home to numerous parks in and around Chattahoochee National Forest. Another park located within this forest in the town of Chatsworth is Fort Mountain State Park, named for the Appalachian mountain on which it stands. The mountain, in turn, is named for the park's defining feature: a mysterious wall of stones that zigzags around its peak. Archaeologists who studied the wall of stones estimate it as being more than 1,000 years old. The park's website theorizes that early Native Americans built the formation for either defense or religious purposes in ancient times. Along with the eponymous fort, the state park also features a mountaintop lake with a beach for swimming, hiking trails, cottages and fully equipped campsites for anyone looking to spend the night. Between these amenities and the inspiring views of Georgia's mountains, Fort Mountain State Park is a destination for the explorer in all of us. 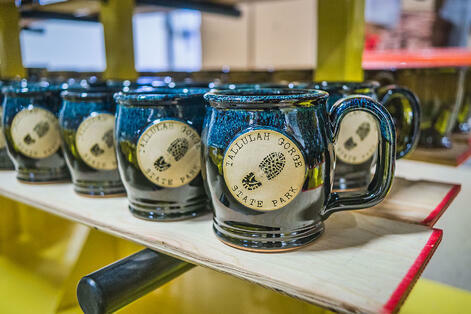 Should you find yourself on a visit to Fort Mountain State Park, you may find a Java Taster or Wide Mouth to take home in commemoration of your trip in our Blue Moon and Zen Mist glazes. With its sturdy craftsmanship, these mugs are microwave, oven and dishwasher safe and made to last as long as the fort has stood. Hidden away near old Savannah, Wormsloe State Historic Site preserves the property of an historic plantation that was active during America's earliest and darkest chapters. Originally established in the 1736, the plantation was the homestead of one Noble Jones, who developed it into a sprawling estate and tried to develop his wealth in the New World. Throughout the latter half of the 18th century and before the Civil War, the plantation's owners used slave labor to cultivate rice, vegetables and other crops. Jones also expanded the property's size over his lifetime, installing an avenue lined with oak trees covered in Spanish moss for a stately southern appearance. 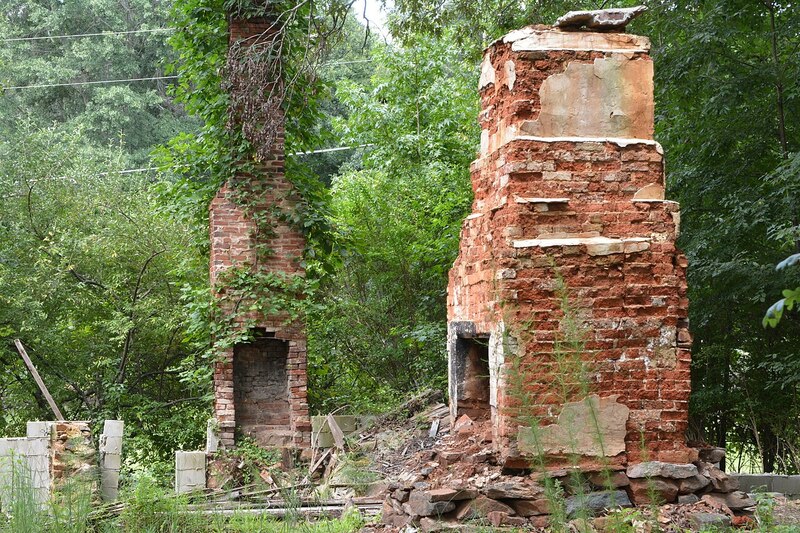 Today, the state park includes a walking trail to the ruins of the original plantation, along with demonstrations on colonial living. 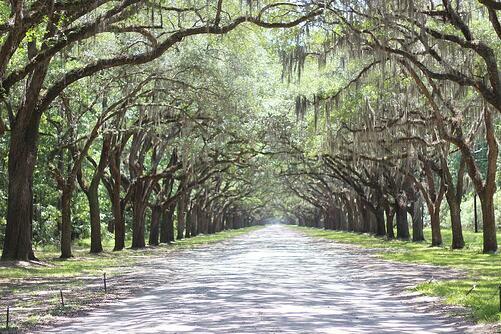 The entire estate is steeped in coastal forests, making for a beautiful venue to learn about America's past. To support the site's preservation and educational programs, visitors can purchase mugs and other souvenirs from the visitor center. The park offers a variety of ceramic coffee mugs throughout the year, including in our newer glazes like Cranberry Bog and Amethyst Horizon. These mugs feature the name of the park, the year the plantation was established and a detailed silhouette of one of the site's stately oak trees. Named for the Polish-born Revolutionary War hero Kazimierz Pulaski, Fort Pulaski National Monument was once a fortress designed to protect the United States from the still-potential threat of British invasion and other dangers in the wake of the War of 1812. Located on an island just outside of Savannah, the fort was later taken by Confederate forces during the Civil War and was the site of a siege during the height of the conflict in 1862. Before and after the siege, the fort served as a prisoner-of-war camp, with Confederate forces controlling the camp first and Union soldiers using it for the same purposes after taking it. While the fort still housed political prisoners after the end of the war, it was ultimately saved from disrepair and turned into a national monument after the turn of the century. During the siege of Fort Pulaski, the fortress walls were bombarded with heavy artillery, which damaged the fort and left marks on exterior walls that can still be seen today. The interior of the fort still stands as well, with reenactors routinely giving demonstrations and rangers offering tours to teach guests about how the fort's resident soldiers and prisoners lived and fought. 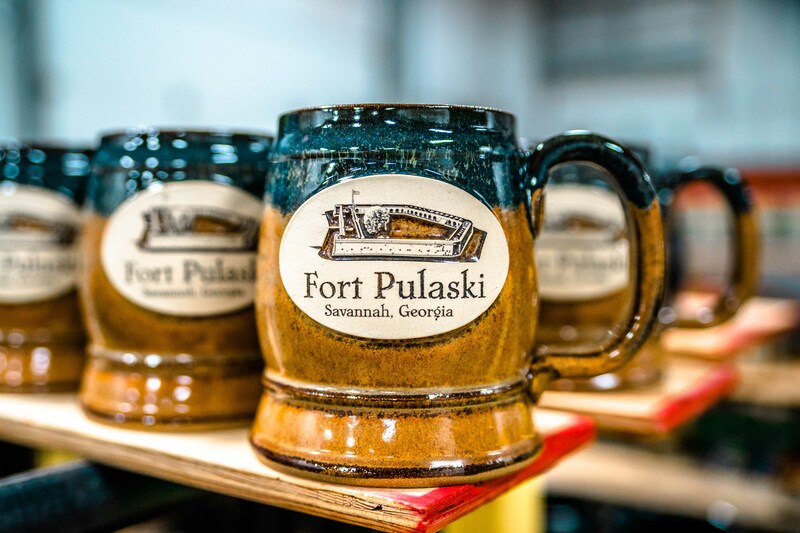 The bookstore at Fort Pulaski National Monument typically offers stoneware mugs in a variety of colors and styles, most of which feature the battle-ravaged fort on the medallion. One of the most recent additions to come through our shop includes the Dale Barrel in Copperhead Run and a few rarer options like our Hilltop Chili mug in Sunfire Red and more. Surrounded by the suburban sprawl of present-day Marietta, Kennesaw Mountain National Battlefield stands on the site of one of the most important battles of the Atlanta campaign of the American Civil War. 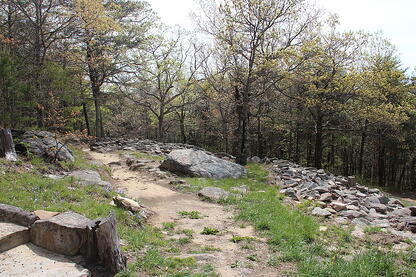 Originally located on the outskirts of the southern city, Kennesaw Mountain was one of the last things standing between Union forces and capturing Atlanta during the waning days of the war in 1864. From Atlanta, the Union could conquer the rest of the South and end the conflict. There was little time for delay, with thousands dying on and off the battlefield over the course of the preceding three years. This national park restores and preserves much of the battlefield to its original state from 1864, including cannon emplacements, earthworks and a farmhouse where part of the battle was fought. Park visitors taking a break from the city can see these restorations, plus hiking around the battlefield and watching occasional reenactments of the fight. If you visit the Kennesaw Mountain National Battlefield bookstore, the stoneware mugs you might find will depict a scene from the battle, some including the flags of the Union and the Confederacy. This park is especially fond of representing Union colors, with some past glaze colors including Stormy Blue, Night Sky and the blue-accented Copperhead Run. No matter where you go in Georgia, you're bound to find a few Sunset Hill Stoneware mugs along the way. To see where you might find Sunset Hill Stoneware mugs throughout the United States and beyond, check out our interactive, regularly updated map below.